The Minoans have always bedeviled historians. Now one of the great mysteries has been cleared up: where they originated. 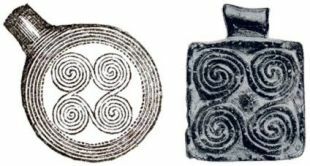 Living almost 4,000 years ago, the Minoans were among the first people in the world known to have developed writing, a system called Linear A, not that we know what it says. 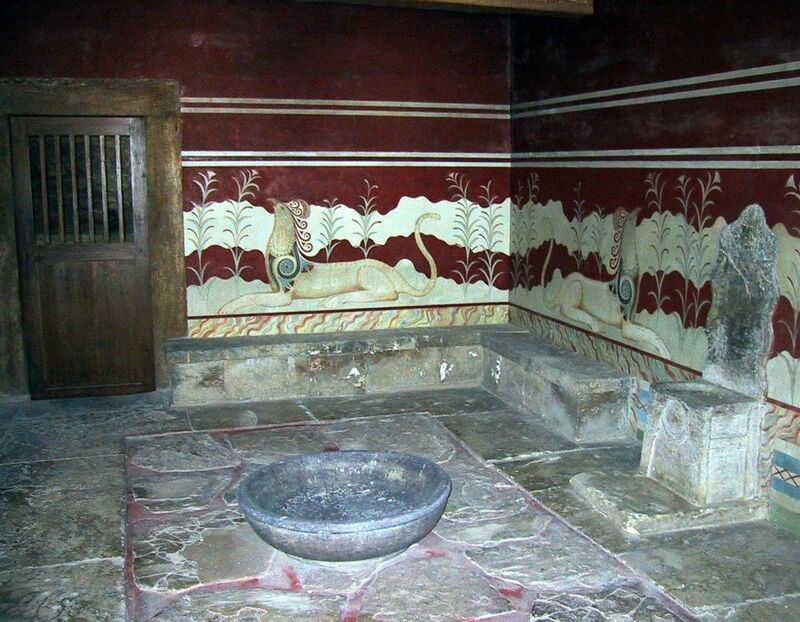 On their dinky little island home of Crete, the Minoans built massively and grandly. Their art dazzled, and their legends – note ye the Minotaur – are appreciated, if not believed, to this day. In fact, they shone so brightly among the farming folk of antiquity surrounding them, that historians always assumed they had to have come from somewhere else (no, not outer space), and brought advanced knowhow with them. Not so, a new genetic study has shown. They were locals. 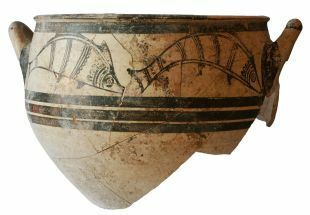 The Minoans on Crete and their mainland neighbors, the Mycenaeans, both descended from the stone-age farmers of western Anatolia and the Aegean, plus smidgens of heritage from the Caucasus and Iran. The two were very closely related to each other, and to modern Greeks, says the team in their paper in Nature on their genetic origins. In other words, both the Minoans and Mycenaeans originated in Neolithic populations of what are today Turkey and Greece. 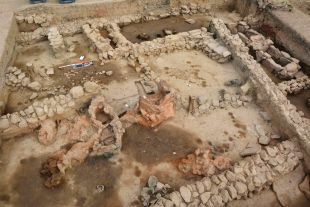 There was a difference: unlike the island-dwelling Minoans, the Mycenaeans had genes from hunter–gatherers of eastern Europe and Siberia, says the team. "Our results support the idea of continuity but not isolation in the history of populations of the Aegean, before and after the time of its earliest civilizations," writes the team. That fits in well with their history of far-ranging travel, trade and war. Israel for one has plenty of artifacts of obvious Minoan and Mycenaean origin. Even far-off Sweden does: copper axes dating to 3,600 years ago were made using copper from the Aegean. 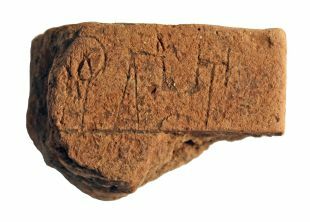 While Linear A remains enigmatic, Linear B, the writing of the Mycenaeans, was actually an early form of Greek. The conclusions are based on genetic analysis of remains from 19 bodies, including Minoans, Mycenaeans, a Neolithic individual from mainland Greece, and Bronze Age individuals from southwestern Anatolia. Why so few? Extracting usable genetic material from ancient bones is extraordinarily difficult, and is predicated on superb preservation – emphatically, not fossilization – of the tissue. Fossil means it's turned to rock and one can't get blood from a stone, let alone delicate DNA. "Preserved" means that the original tissue is still there, thousands of years old but still, somehow, not decayed. Classic environments for preservation include peat bogs, bone-dry desert caves, but not the lush, humid Mediterranean region. Hence the paucity of usable remains. However, the team could cross-reference their findings with previously published data from nearly 3,000 other human remains, ancient and modern, they explain. The result is that the Minoans didn't come from some unknown, fabulous civilization. They didn't arise in mythical Atlantis or anywhere else. They were locals, the scions of farming folk in Turkey and Greece, says the team, headed by Johannes Krause of the Max Planck Institute for the Science of Human History. As for that introduction of genes to Mycenaeans from Iran and the Caucuses to the east, the archaeologists speculate this to be the remains of an unknown migration event. 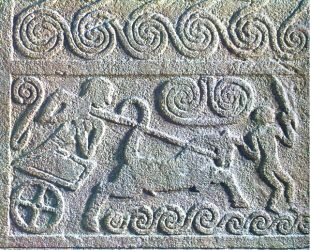 At least one fertile pastoralist, or a whole slew, from the northern steppes reached as far as mainland Greece, but did not reach the Minoans on Crete, it would seem. Though not identical to these Bronze Age populations from thousands of years ago, modern Greeks are genetically closely related to the Mycenaeans, says the team. Naturally, by now today's Greeks have other additions to their gene pools and a corresponding decrease in heritage from the Neolithic Anatolians. "It is remarkable how persistent the ancestry of the first European farmers is in Greece and other parts of southern Europe, but this does not mean that the populations there were completely isolated," says Iosif Lazaridis of Harvard Medical School, the lead author of the study, adding, "The Greeks have always been a 'work in progress' in which layers of migration through the ages added to, but did not erase the genetic heritage of the Bronze Age populations."